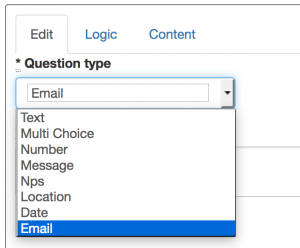 With the email question type you can capture valid email addresses from your respondents. Handy if you’re linking your surveys to your CRM. Capture accurate locations and addresses with the location question type. 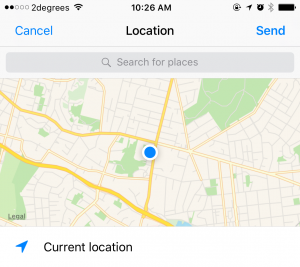 This question type utilizes Facebook Messengers “Send location” feature. 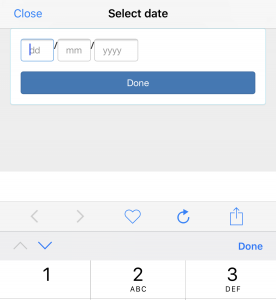 Capture valid date answers with the date question type. Handy if you want to capture the birth date of your respondents. In conjunction with these changes we’ve also improved the validation of answers for all question types to ensure that you get accurate responses for your surveys. We’ve also got 2 more exciting updates planned for this week so stay tuned!